Sinica interviewed movie critic Raymond Zhou and produced an episode filled with movie references. Since I was listening to this episode on the go, I decided to listen back once more and lookup all the movies they were talking about. Since I went though that trouble, I figured I might as well publish them over here. 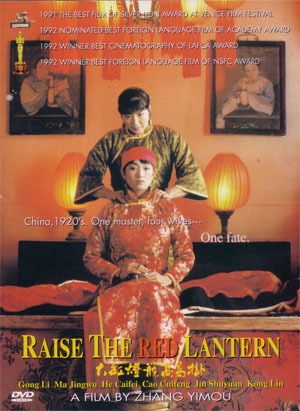 We all know outstanding Chinese movies from the 80’s and 90s like Ju Dou (Chinese: 菊豆) and Raise the Red Lantern (simplified Chinese: 大红灯笼高高挂), Red Sorghum (simplified Chinese: 红高粱) from director Zhang Yimou. David Moser mentions a Hong Kong movie called Journey to the West: Conquering the Demons (Chinese: 西遊·降魔篇) where a lot of weird stuff was happening at the end of the movie. It’s a new kind of art form, not imitating Hollywood humor. Pure fun. It fools you at every single step of the way, where you think you know what will happen but violates your expectations every time. Some violent scenes though. Keep Cool (simplified Chinese: 有话好好说) a low budget, hand held camera filmed is a very funny film. Beijing, earthy slightly macho northern Chinese humor. It’s a lot like a sitcom in terms of structure. Lost in Thailand (Chinese: 人再囧途之泰囧) One Chinese blue collar worker and white collar worker who keep on bumping in to each other on a journey in Thailand, the story tells something about current situations in China. People compare it to hangover II, it’s slightly similar. It was a commercial successtory, just below Avatar. The Sun Also Rises (Chinese: 太阳照常升起) recommended by Raymond Zhou to see Chinese history from the past century. This is a commerical flop becuase it’s so difficult to understand. However, if you try to feel it, you will get a lot of things. They then talk about about Let the Bullets Fly (simplified Chinese: 让子弹飞) which to me seems like a Chinese copy of the famous Korean movie The Good, the Bad, the Wierd. Jeremy Goldkorn mentions a movie called In the Heat of the Sun (simplified Chinese: 阳光灿烂的日子) and they regard it is still the best movie made in China. In that movie, people can pick the political intonation. Some say that the director is a great admirer of Mao Zedong. Devils on the Doorstep (simplified Chinese: 鬼子来了) is banned in China. It’s surprising that these movies get produced in China, they get so far to get the movie in the can but then SARFT only approved it for international film festivals. To be later banned completely. They then discuss that banning a movie in China is one of the most effective ways to promote it, reducing the commercial capabilities completely. They also mention ‘The price from europe is a curse’ – Movies that do well in Europa generally don’t do well in China as they are thought to be boring. Kaiser Kuo recommends A Girl from Hunan (Chinese: 湘女萧萧) is showcased in a lot of film classes. It’s about a beautiful young woman in her teens who is married to a toddler. She ends up having an afair and all the evils of the superticios society emerce. Brutal beautiful film according to Kaiser Kuo. He also mentions Peacock (Chinese: 孔雀). 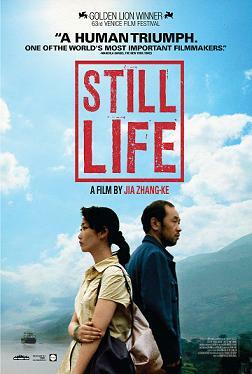 Raymond recommends a movie called Still Life (Chinese: 三峡好人) showing the migration of 2 million people for the Three Gorges Dam. It shows miraculously what happens on the human level when people are forced out of their home town. He also recommends Back to 1942 (Chinese: 一九四二) which is currently running for the best foreign movie at the Oscars. About the Henan famine where 3 million starved to death in 1942 in the eve of Japanese invasion. It’s also to hint to other episodes in China which cannot be told otherwise. The end of my Chinese fashion startup. Thank you very much Joop. I was doing exactly what you did after listening to the Sinica show. Your list popped up on google and it helped me enormously.